If your 1040 is wrong, an amended return can fix it. If you discover that you screwed up your federal income tax forms, you can fix them by filing an amended return. 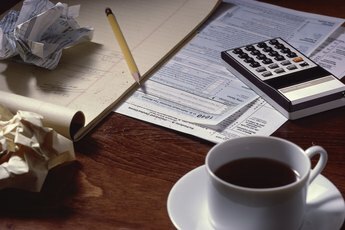 The IRS says you needn't worry if it's a simple math error or if you submitted an accurate return but left out some paperwork. However, if you wrote down the wrong filing status, claimed too much or too little income or omitted deductions or credits, you need to submit a new return. You may fear an amended tax return red flag, but there's no greater risk of an audit if you submit an error-free amended return than you have if you submit an error-free original one. 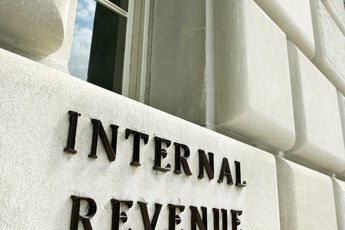 Although amending a return doesn't trigger an audit, it does give the IRS another chance to review your information, at which point they may notice a discrepancy. Filing an amended return doesn't automatically unleash the auditors, the IRS says. Since the agency is going over your return twice, however, that doubles the chance they'll spot a red flag. 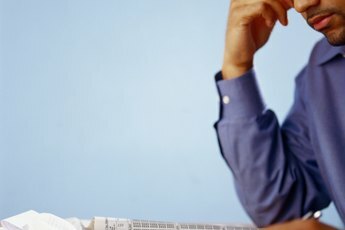 Less than 1 percent of individual taxpayers are audited annually, but if you're self-employed or make more than $200,000 a year, the risk increases. If the deductions on your revised return are unusually large compared to your income, that also boosts the odds of an audit. Deductions for large charitable donations and business travel and entertainment expenses are also red flags. Although amending your tax return won't trigger an audit, if you're already in the process of being audited, you should hold off on amending your return. Even if there are good reasons to amend a tax return, your amended return likely won't be seen in time. In fact, submitting an amended return when you have an audit in progress will likely cause confusion and possible delays. Meet with your auditor as planned and mention the error then. Although a tiny fraction of all returns get audited, it's still important to know the things you can do to avoid it. With the standard deduction increasing to $12,000 for individuals and $24,000 for married couples filing jointly, you'll be far less likely to itemize and make mistakes. You also can no longer claim unreimbursed employee expenses, so if you aren't self-employed, you're likely to avoid an error there, as well. These audit risks are much higher than your amending tax return audit risk. If you notice you made a mistake on your 2017 taxes and want to amend your paperwork, submit a Form 1040X, along with a copy of the original return and any forms or schedules that contained incorrect information. The 1040X has three columns: one for the original figures, one for your corrections and the third to show the differences. If you're asking for a bigger refund or tax credit, you must get the 1040X to the IRS within three years of submitting the original return or two years from when you paid the tax, whichever is later. There's no fee for filing the 1040X.